AMS supply a range of low-cost quality consumables to work with our equipment. These include a selection of inkjet cartridges, envelopes, poly films, shrink wrapping plus much more. All supplies are available for next day delivery and sent directly from our Hertfordshire warehouse. Click here to visit our supplies shop. AMS supply a range of high quality ink cartridges at competitive prices. As well as Memjet, HP original and associated inkjet cartridges, we supply quick drying ink such as aqueous, solvent and UV. All supplies are sent on a next day delivery. Call us today! Our range of plain white self-seal and glued envelopes use top quality paper to meet all our customers’ needs in terms of professional business correspondence. They are available in the most popular sizes including DL and C5 in both window and non-window. We supply high quality clear and printed polythene of various sizes at competitive prices and can deliver film within 24 hours. There are also degradable and bio-degradable options available in minimise environmental impacts. Our range of adhesive tabs and labels come in many colours and sizes. 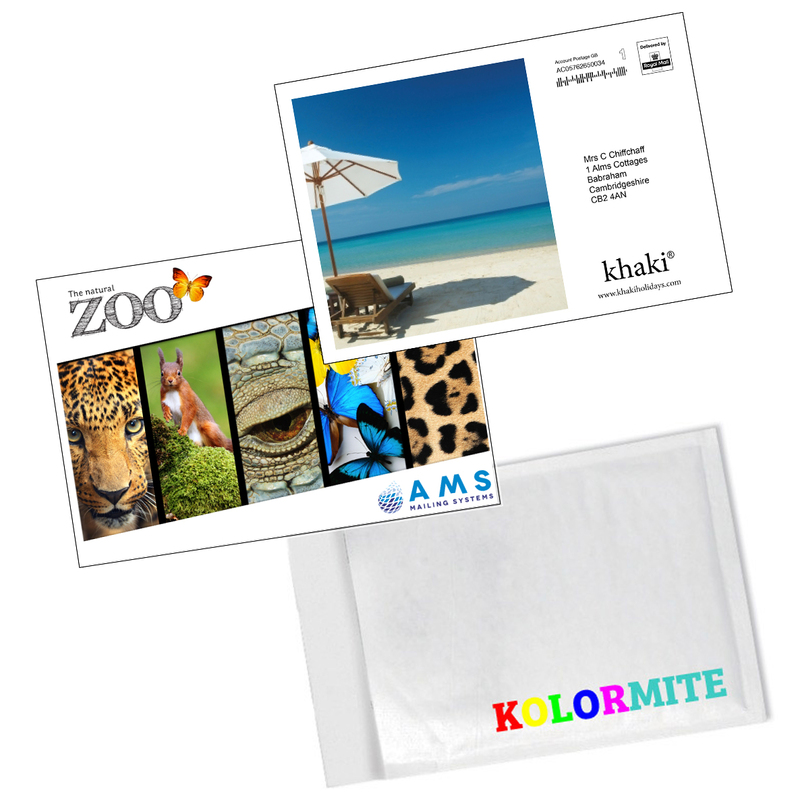 There are even frosted and opaque options to suit the design of your mailing.